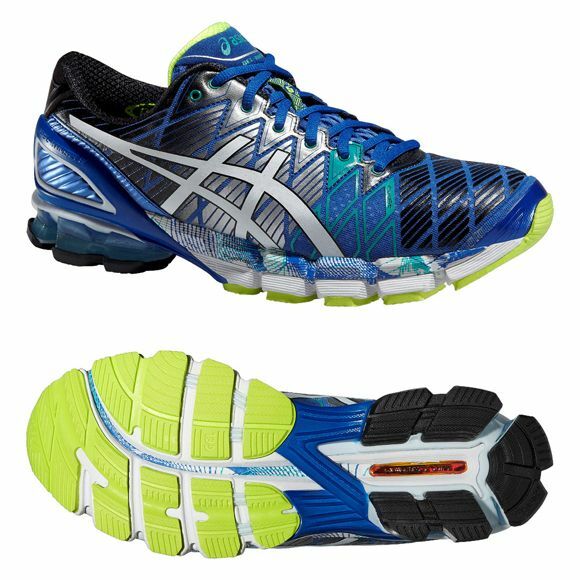 The Asics Gel-Kinsei 5 men’s running shoes are high-quality, neutral, cushioning trainers that offer excellent cushioning at a lower weight than before to help take your running to another level. The upper is breathable and features Biomorphic Fit technology which provides a softer glove-like fit that reduces irritation greatly. The clutch counter ensures more support at the rear, and the rearfoot and forefoot GEL cushioning system lessens impacts throughout your whole gait pattern for smoother transitions and more fluid running. The durable outsole has Asics’ Impact Guidance System and Guidance Line that increase gait efficiency from heel strike to toe-off. Hit the road in Asics’ top-of-the-range cushioning running trainer and enjoy the plush comfort provided. for submitting product review about Asics Gel-Kinsei 5 Mens Running Shoes.